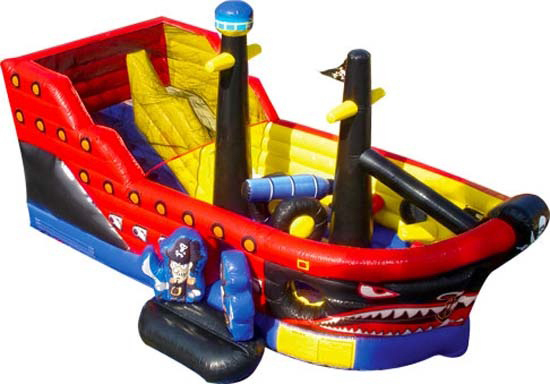 The Pirate Ship bounce house will have them plundering on the high seas in no time in this amazing realistic inflatable pirate ship. A pair of buccaneers greets each player at the ship's entrance, and inside kids can bounce in the ample jumping area, battle through the pop-up obstacles or enjoy the climb and slide located at the stern. 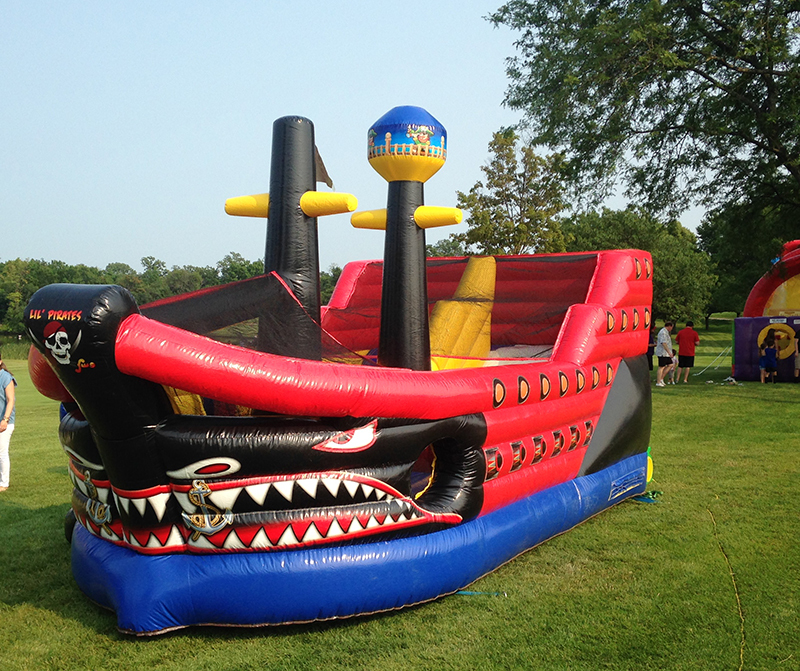 The bounce house boasts impressive three-dimensional artwork, with a traditional pirate skull and crossed swords at the bow and ship's flag, along with a lookout on the mast. The ship itself has a life of its own with a sharp-toothed face on the outside bow. 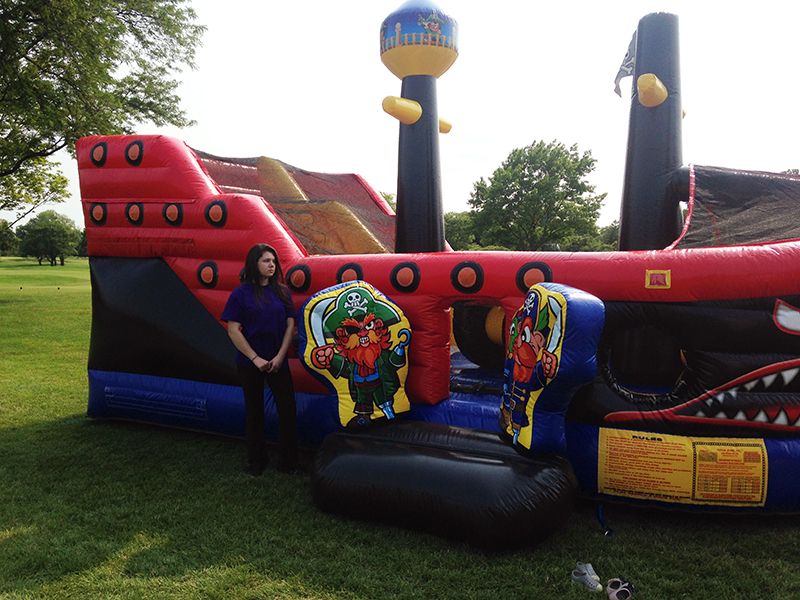 The Pirate Ship bounce house is sure to please any landlubber!